I swear our Chloe is more like a human than a dog. Last year we were handing out stockings and we had not purchased anything for her. She just sat and stared at her stocking waiting for someone to hand it to her. I had never felt so horrible about forgetting our pet and my kids have been harassing me since. This year I am getting a head start on pet stocking stuffer ideas. 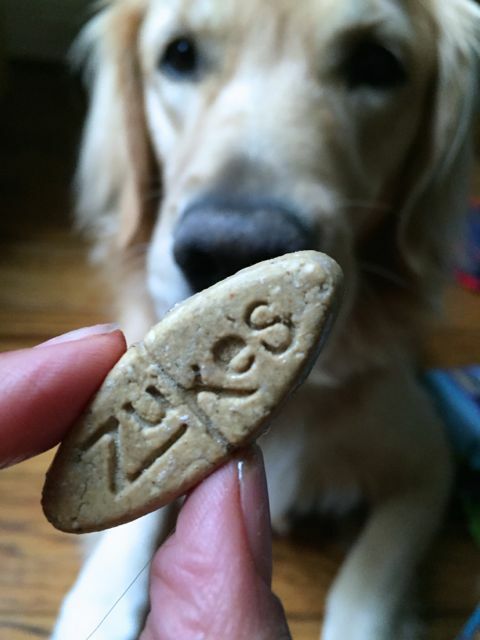 Pet Treats: Chloe is already a huge fan of Zuke’s treats. 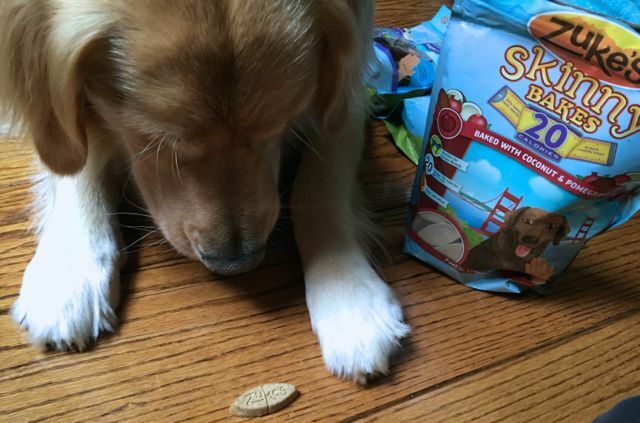 I am thrilled, they have a brand new family of treats that include large crunchy biscuits with only 20 calories per treat. Large dogs can get overweight very easily and for a dog that is food motivated these are perfect. 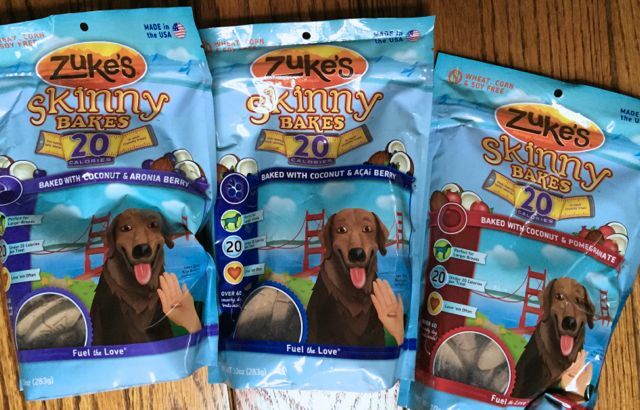 Skinny Bakes® 20’s: Made with coconut, antioxidant-rich power berries, brown rice, pearled barley, and rice bran, Skinny Bakes® 20’s are larger treats designed for bigger dogs. Recipes include: coconut & açaí+cranberry, coconut & aronia+cranberry and coconut & pomegranate. Dog Toys: Kong Wubba is her favorite toy and they last her about 2 years. She will be getting new one this year. Leashes and collars. I love Chloe’s current collar I hate to replace it but it is time. And as much as she drags her leash around it is time to replace this too. Dog Sweaters and jackets: Our long haired pup does not need these but keep your short haired dogs warm all winter. What do you typically buy for pet stocking stuffers?